Classical music and opera events happening in and around Toronto for the week of December 3 – 9. 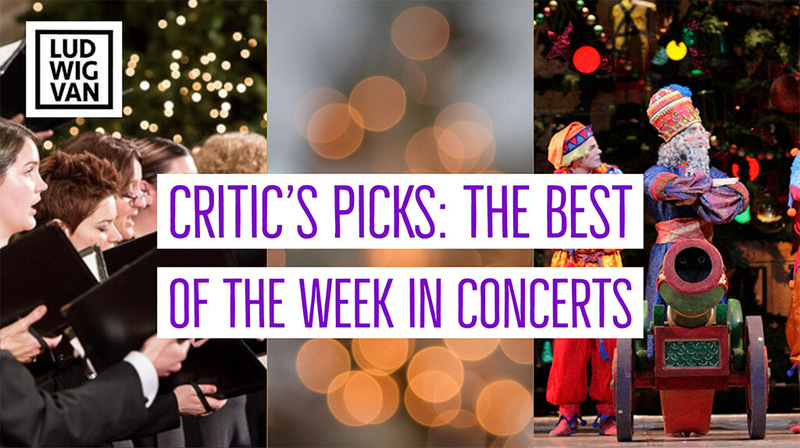 Ludwig van Toronto’s weekly Critic’s Picks are a curated list of some of the best concerts happening now through the end of the week. For a look at the full breadth of what’s available in and around Toronto, check out our curated concert listings here. Canadian Opera Company | Vocal Series: Wirth Vocal Prize in Recital. 12 p.m., Richard Bradshaw Amphitheatre, Four Seasons Centre, 145 Queen St. W. Free. Limited seating. Quebec soprano Anna-Sophie Neher, the excellent Lavia in Hadrian, is the winner of the Wirth Vocal Prize at the Schulich School of Music at McGill University. She sings a program of works by Fauré, Wolf, Rachmaninoff, Johann Strauss, Jake Heggie, and Ilse Weber. Magdalena von Eccher is the pianist. | Details here (PDF). 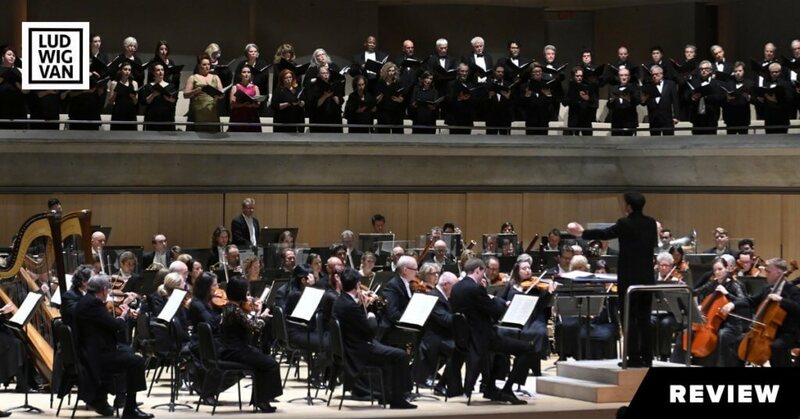 Toronto Mendelssohn Choir | Festival of Carols. 7:30 p.m., Yorkminster Park Baptist Church, 1585 Yonge St. $35-$78/$20(30 & under). Repeats on Dec. 5, 7:30 p.m.
It’s that time of year again! TMC’s annual celebration of music for the season with the Canadian Staff Band of the Salvation Army (John Lam, bandmaster) and the young voices of the Toronto Youth Choir (Matthew Otto, conductor). You can add your voice to the popular audience carol sing-along. Howard Dyck conducts. | Details here. Well, if you want a unique Messiah, this is it! The Electric Messiah IV is a reimagination of Handel’s inspired by jazz, gospel, blues, hip-hop, not just classical. This is its Fourth Edition. Jonathan MacArthur, tenor; Aviva Chernick, vocals; Alex Samaras, baritone, jazz-singer; Adam Scime, music director; Christopher Bagan, analog and electric harpsichord; Jeff McLeod, electric organ; Joel Schwartz, electric guitar; SlowPitchSound, turntablist and resident DJ; Lybido, dancer. | Details here. Canadian Opera Company | Vocal Series: Harawi: Song of Love and Death. 12 p.m. Richard Bradshaw Amphitheatre, Four Seasons Centre, 145 Queen St. W. Free. Limited seating. 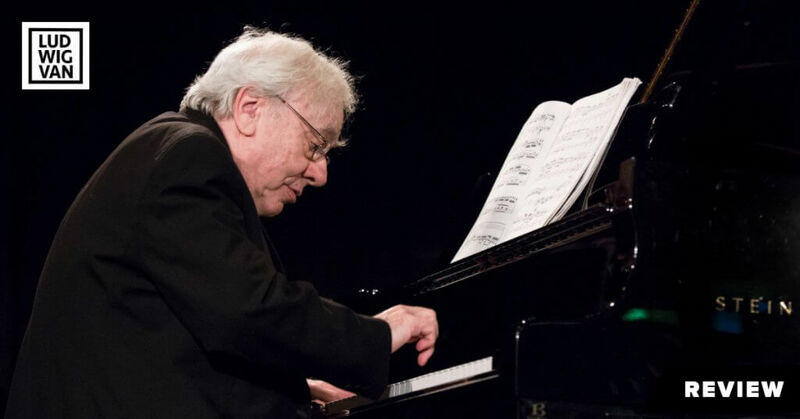 Harawi is an hour-long song cycle by Olivier Messiaen, forming the first part of his Tristan Trilogy. The cycle is inspired by Yaravi, a genre of Andean love song which often ends in death of the two lovers, a theme also central to the myth of Tristan und Isolde. This recital was originally scheduled for October 25 but postponed due to indisposition of the COC Ensemble Studio mezzo-soprano Simone McIntosh. Rachael Kerr is at the piano. | Details here (PDF). Nathaniel Dett Chorale | An Indigo Christmas…Black Virgin…Great Joy. 3:30 p.m. Sandra Faire & Ivan Fecan Theatre, Accolade East Building, York University, 4700 Keele St., North York. $25/$20(sr)/$10(st). The mandate and vision of the Nathaniel Dett Chorale is to explore music appropriate to the traditions of the African Diaspora. Their show for the Holiday Season features songs and carols celebrating The Black Virgin, and a suite of traditional Christmas carols in Gospel style with soloists and jazz/gospel combo. | Details here. This Holiday Classic has become quite a box office hit for the Toronto Symphony, so here it is again! Macaulay Culkin stars as a kid accidentally left alone over Christmas and having to deal with a couple of would-be burglars. The TSO plays John Williams’s score live during the screening. Constantine Kitsopoulos conducts the TSO and the Resonance Youth Choir. | Details here. Music Toronto | Gryphon Trio. 8 p.m. Jane Mallett Theatre, St. Lawrence Centre for the Arts, 27 Front St. E. $53-$58. The Gryphon Trio (violinist Annalee Patipatanakoon, cellist Roman Borys, and pianist Jamie Parker) plays a program of Mozart, Brahms, Satie, Part, David Braid, Valentin Silvestrovm and Paul Frehner. This concert marks the trio’s 25th Anniversary at Music Toronto. | Details here. Conductors Uri Mayer and Lorenzo Guggenheim lead the U of T Orchestra in a program of De Falla, Glazunov, and Tchaikovsky, plus a special performance of a work by composer and Faculty of Music alumnus Ka Nin Chan, winner of the 2018 Kathleen McMorrow Music Award. Also appearing are mezzo Gena van Oosten and violinist Julia Mirzoev, two of the 2017-18 UTSO Concerto Competition winners.| Details here. Founded in 1981, Exultate Chamber Singers (Dr. Mark Ramsay, Artistic Director) presents a program of works by Imant Raminsh, Kathleen Allan, Mark Sirett, as well as Sarah Quartel’s A Winter Day.| Details here. Upper Canada Choristers | Christmas Cheer 8 p.m. Grace Church-on-the-Hill, 300 Lonsdale Rd. $25 (Children and teens free). For tickets call (416) 256-0510. In its 25th anniversary season, the 40-voice mixed choir Upper Canada Choristers is joined by Cantemos to perform a Christmas concert that includes holiday favorites as well as Latin American selections. The program includes Hodie Christus Natus Est from Benjamin Britten’s A Ceremony of Carols, and a set of Christmas selections by John Rutter, including his delightful musical fable Brother Heinrich’s Christmas, with narrator Valerie Abels; bassoonist Christian Sharpe and pianist Hye Won Cecilia Lee. | Details here. Royal Conservatory of Music | Paquito D’Rivera with the Harlem Quartet 8 p.m. Koerner Hall, 273 Bloor St. W. $45-$95. Grammy Award winner Paquito D’Rivera (clarinet and saxophone) returns to Koerner Hall, joined by the Harlem Quartet, in a program of classical chamber music and Latin jazz and improvisations – Bolcom, Debussy, Weber, as well as his own compositions. | Details here. National Ballet of Canada | The Nutcracker 2 p.m. & 7 p.m. Both Sold Out! Four Seasons Centre. Runs to Dec. 30. Start times vary, so check the website for details. The perennial audience favourite, The Nutcracker, is back for the Holiday Season, and a glance at their website shows tickets are selling extremely well. 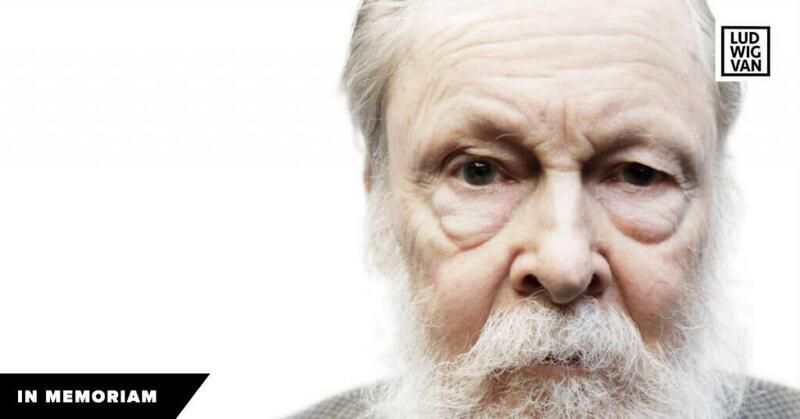 Premiered in 1995, the James Kudelka’s version resituates the story to 19th century Russia. Beautiful sets by Santo Loquasto. Not to be missed. | Details here.